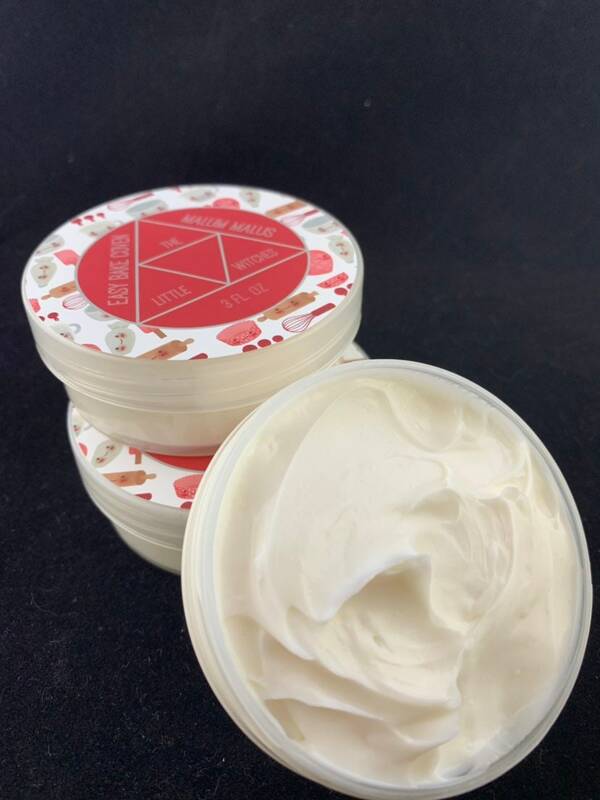 This is my third style of hand cream I am introducing! 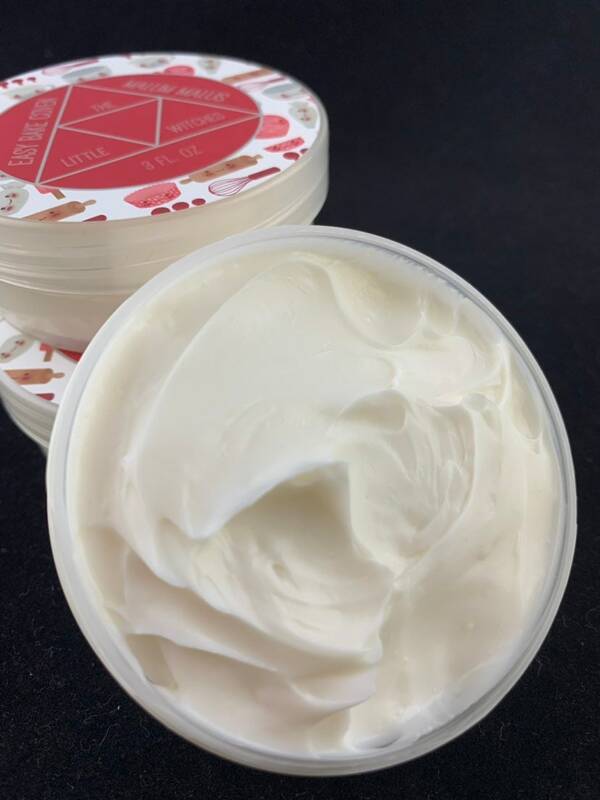 It is a smooth and creamy lotion and while it has almond oil and avocado oil it does contain beeswax making it non vegan. 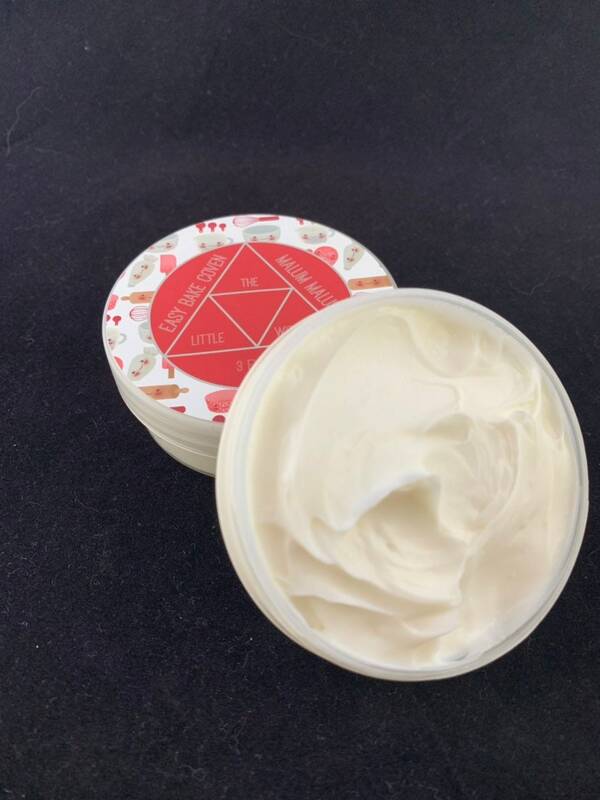 My regular body butter is vegan if you are looking for a vegan option. 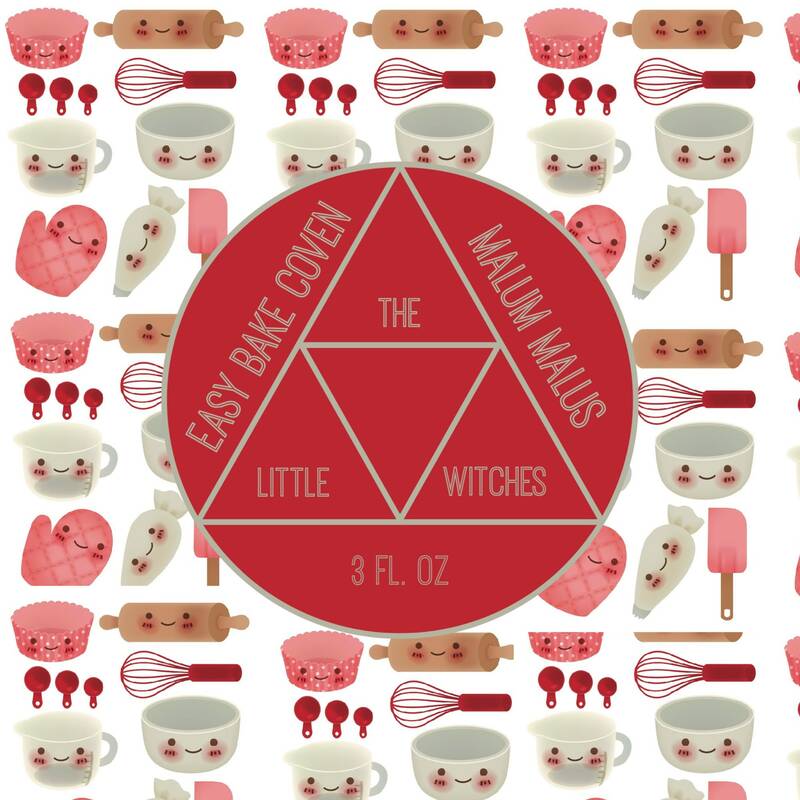 This is part of my Easy Bake Coven set and features yummy foodie fragrances. I special mixed this fragrance with Hot Apple Pie and Pie Crust. It smells like warm apple pie with a flaky buttery crust. Full of cinnamon and spice. 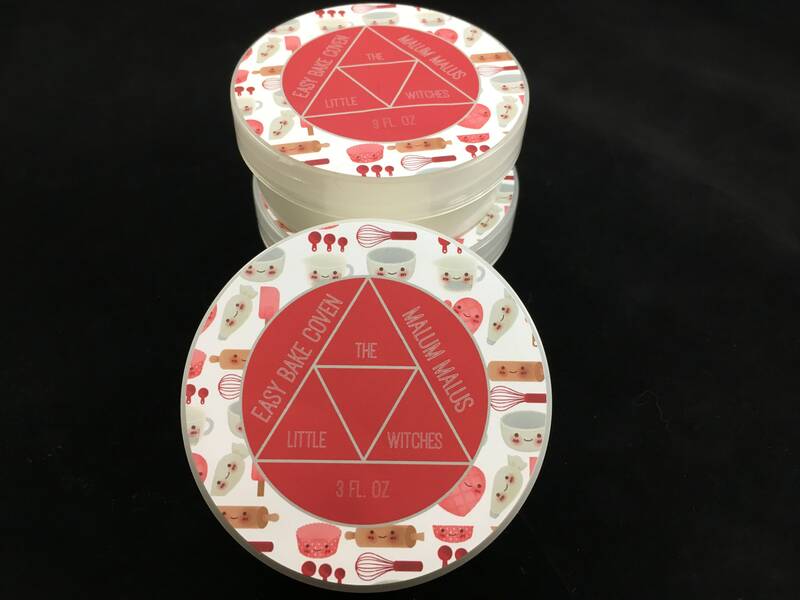 It's not too overwhelming for a lotion but it will leave you hungry! I have omitted any color or mica for this lotion as I like to have options for people who are sensitive to dyes. 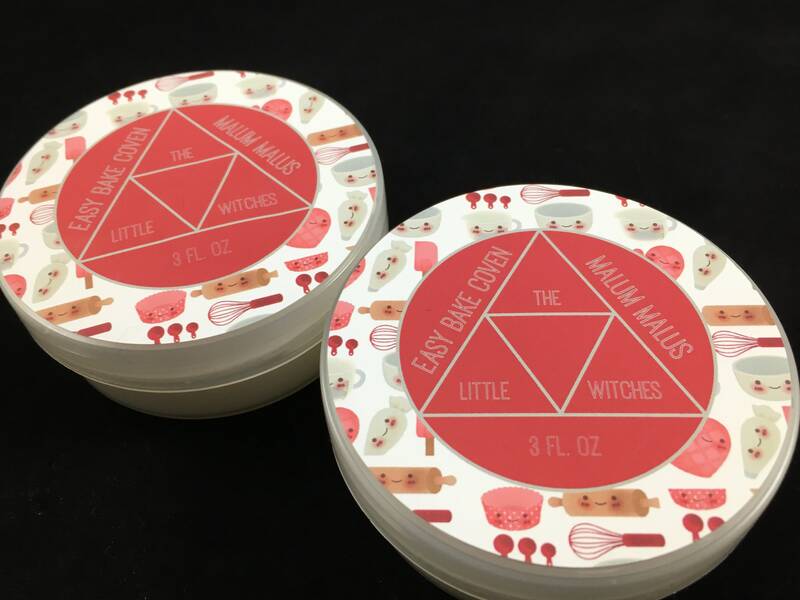 Excellent hand cream! 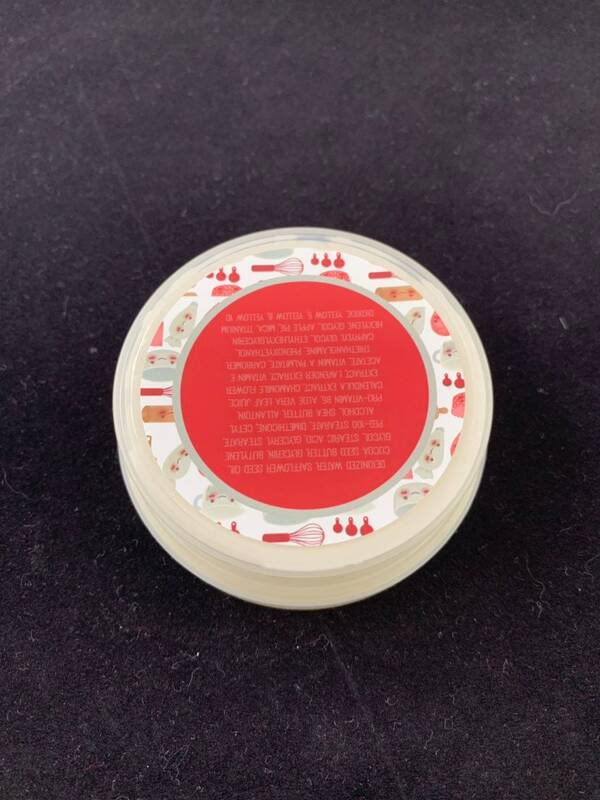 It's very emollient and has a long lasting fragrance. I'm very happy with my purchase.